As if we needed another reason to love Google Now. The same service that already helps you find your find your car, beat traffic and more will also remind you to pay your bills. The update is rolling out today, Android Police reports, after the new feature was first spotted in a Google APK earlier this year. 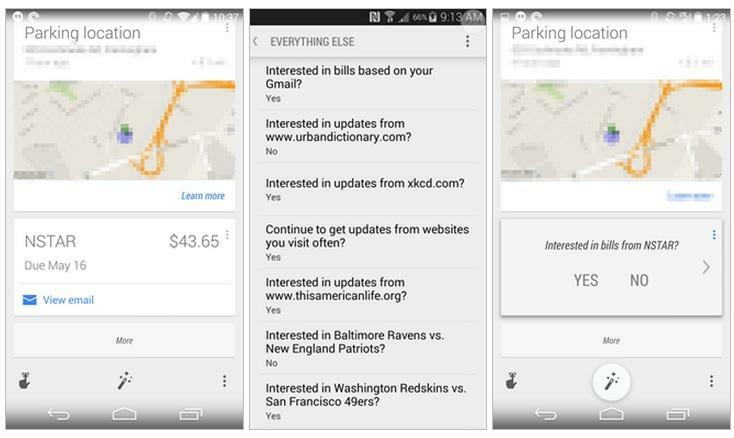 Google Now won’t actually pay your bills for you. Instead, the service scans your Gmail for any mentions of upcoming payments you need to make and then shows you info cards with that data along with a link to the relevant email. If you’re the kind of person who’s always forgetting to pay your bills on time, these notifications could be a huge help. If not, you can always turn them off like anything else in Google Now. It’s possible future versions of this Google Now feature could actually let you pay your bill, possibly through integration with Google Wallet, but for now we’ll take what we can get. The bill-reminding feature is still rolling out to Android users, so it could be a few days or more before you see it show up on your phone. If you have any important bills to pay between then and now you’re on your own.